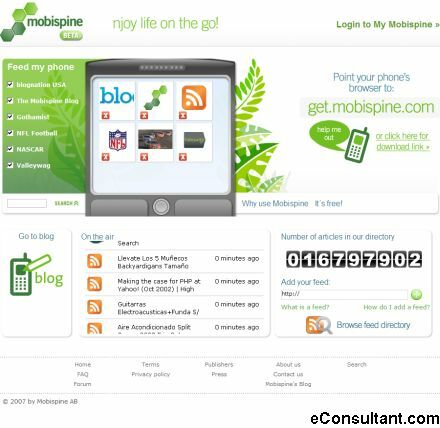 Description : Mobispine delivers personalized RSS-feeds to mobile users. Users can add feeds directly from the mobile phone and browse them from anywhere, anytime and stay updated. The service is carrier-independent and works globally.